by Deanna Siemens,BSeN, Lorelei Thomas, B.Ed, M.Ed, Joanne Smith, B.Sc.H.Ec,RD. The Big Cook is a hardcover book of freezer friendly meat recipes with a spiral binding that opens flat. 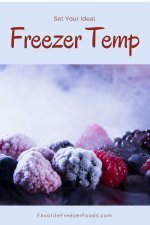 This book is ideal for people looking to prepare and freeze large quantities of entries with friends. The book begins with a time line and recommendations for getting through your cooking day. This is a bit hard to read because the page has a busy background pattern but is well worth the extra effort. The beginning includes advice on placing a meat order from your store, asking for exactly what you want and getting a volume discount. There are also tips for freezing meals such as laying thick cardboard between them to keep them from freezing together. They also recommend using a basket such as a laundry basket for prepared meals for every one in the cooking group. This is fine if your meals won't be out long, if your group is taking it's time or the person has a long drive home the food should be kept in the fridge or freezer. Meats should never be at room temperature for over 2 hours and that is still a long time for bacteria to grow. Placing meals in a cooler would be better than a laundry basket. 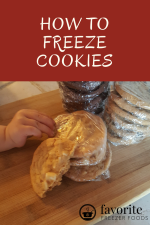 The recipes are for beef, chicken and pork and include measurements to make 1, 4, 6, or 8 meals at a time and most are designed to work in freezer bags. Every recipe includes multiple ways to reheat it from the oven to the microwave to the crockpot to the stove top. The authors include serving suggestions for healthy side dishes to keep the meal balanced in terms of protein, carbs and vegetables. After the instructions there are hints with every recipe for freezing, reheating and successfully preparing the recipe. The list of ingredients includes the freezer container and how vegetables should be chopped and prepared. There are quite a few recipes with onion soup mix, Italian dressing, one even calls for graham cracker crumbs. I found this surprising a little surprising for a book written by mothers, one of whom was a nurse and another of which is a dietitian. But most of the recipes are more healthy than that and they. The appendix includes sample menus with shopping lists and the index is easy to use. Return from The Big Cook to the homepage of Favorite Freezer Foods.